The search for the University of Montana’s next president has now been whittled down to four finalists. They’ll all visit Missoula later this month. One could take the helm of UM possibly as soon as spring semester. “It’s an amazingly talented group of people to invite to the university to share further with the UM community the types of qualifications and talent that they may lend to UM’s future leadership,” says Kevin McRae, spokesman for the Montana Commissioner of Higher Education. One of the finalists, Mirta Martin, serves as Senior Education Advisor to former Mexican President Vicente Fox. Martin is a Senior Fellow for the American Association of State Colleges and Universities. She has over 30 years experience in higher-ed, banking, advising and consulting. Andy Hale Feinstein is provost and senior vice president for academic affairs at San José State University which one of the top suppliers of graduates to Silicon Valley. Finalist Seth Bodner is a senior executive at General Electric. Not only is Bodner a West Point graduate, he taught economics there, served in the 101st Airborne Division and earned two masters degrees from the University of Oxford. University of Central Missouri President, Chuck Ambrose, is described as a career educator who now serves as chairman of the Council on Public Higher Education in Missouri. Not one candidate has Montana roots. Kevin McRae says UM’s 21-member search committee, made up of faculty, staff, students and community stakeholders made merit-based decisions. "So they did not begin with a pre-disposed goal of having some particular balance between either in-state or out of state candidates." Nor, says McRae, should people make too much of the fact that three finalists are men and one is a woman. He notes the original applicant pool was made up of a total of 99 people. "Eighteen or 19 of the applicants were female. The remaining 80 or 81 were male. Just by focusing on the qualifications, capabilities and leadership skills necessary for the job, fortunately the search advisory committee was able to reach a finalist pool that does bring diversity into the equation." All candidates will visit Missoula and the UM campus later this month. McRae encourages the public to attend forums and receptions for each. Find the dates and times of all those appearances, as well as complete biographies and resumes of all the candidates, here. 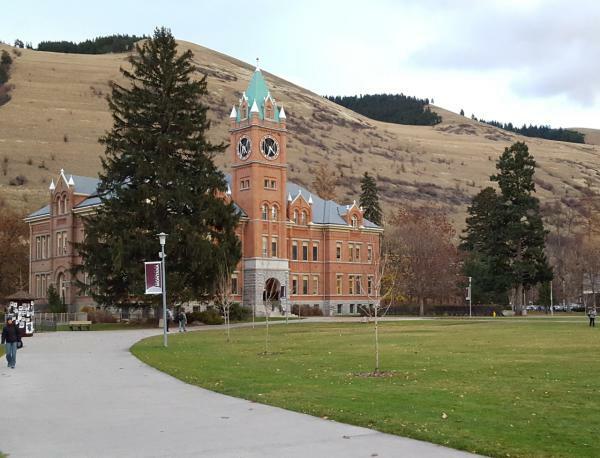 The Montana Board of Regents is expected to make a final decision on the presidential selection for the University of Montana later this fall.